Sometimes, a threat is less effective than a friendlier approach. 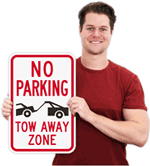 Before you promise to tow someone's car, order one of our no parking signs. 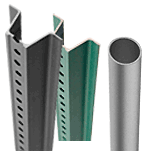 Post a straightforward message to protect your property. 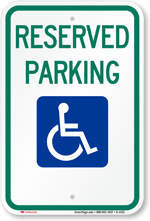 • Choose a clear reserved parking message, or offer a simple "thank you." • Durable 3M inks and films last over ten years outside. Maybe the “high road” is not for you. 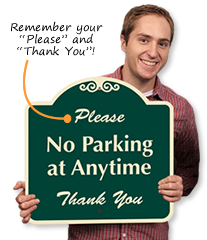 Find signs with attitude. No Parking Fire Lane. Do Not Jeopardize Our Safety!